Happily Ever All-Star by Sosie Frost is NOW LIVE! Grab your copy of this standalone romantic comedy! Veteran running back Jude Owens is one of the best and most respected players in the league. A brutal concussion nearly ended his career, but Jude refuses to retire without earning the ultimate honor—a championship. But first, he needs me to clear him to play. As the Ironfield Rivets’ neurologist, I usually treat bad boy quarterbacks and beastly linebackers. I can’t be impartial when my lifelong crush hops onto the exam table. Not only is Jude gorgeous and a gentleman, he’s my brother’s best friend…and the father of my unborn baby. Jude offers to pose as my boyfriend and the baby’s father to save my reputation. In return, he needs my help to stay on the field. The pretend romance keeps me close enough to take care of him, but I can’t protect my heart. Our stolen kisses and nightly indiscretions have transformed this fake relationship into something so very real. I can’t complicate our arrangement by falling in love, especially as Jude’s obsession with football blinds him to everything but the game. When his symptoms worsen, the only way I can protect him may be to sit him on the sidelines. But ending his career will ruin our Once Upon A Time. Even if it means I lose my happily-ever-after. Haven’t read this standalone series yet? 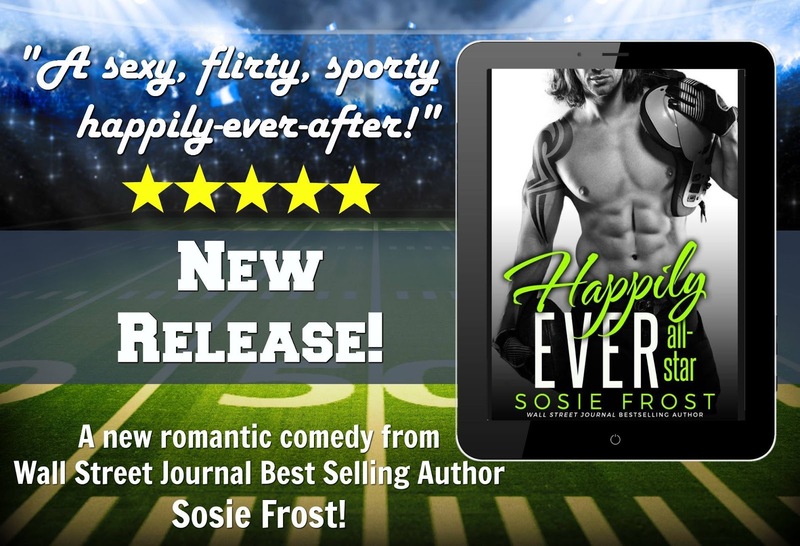 Sosie Frost is no stranger to quirky, embarrassing, and wild situations, and she's channeling all that new adult angst into fun romances! From marching at the high school homecoming game without her trumpet (a punishment for forgetting the instrument on the band bus), to accidentally tucking her prom dress into the back of her tights before pictures, and even accidentally starting a chemical fire in the college chem lab, Sosie has the market cornered on crazy stories. 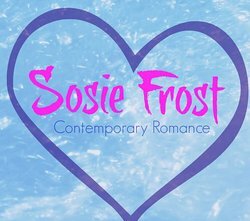 If you want funny, charming, and steamy romances, you've found the right author!